We’re a bespoke calligraphy & stationery studio. 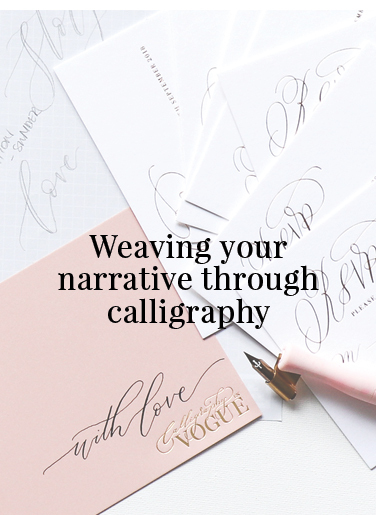 We believe that calligraphy and stationery go beyond the words you wish to say, to create a feeling of connection and capture special moments. Our designs inspire and captivate-whether it’s wedding invitations, luxury business stationery or a custom calligraphy touch for branded events, we create a magical experience that makes a statement. Please leave us your email so we can send beautiful words directly to your inbox. Please leave us your email so we can send beautiful words directly to your inbox PLUS get your exclusive editable mood board to style your next event.